Positioned halfway between Lincoln Square and Ravenswood, Neighborly is one of the new additions to Chicago’s home furnishings scene. Filled to the brim with handcrafted and specialty items, Neighborly has created a space to showcase the works of local craftspeople. They also focus on fair trade and earth-friendly goods. This cozy shop offers artwork, kitchen items, furniture, and lighting. Located downtown, Room and Board is a great place for home furnishings and upscale items. Part of a small chain found in major cities throughout the country, Room and Board specialize in modern design for Chicago apartments homes. They have furniture selections for every space in the home including living rooms and bedrooms. Also, they have the perfect pieces for patios and outdoor areas. Open since 2003, this Chicago mainstay offers free design services to assist with selecting furniture and room planning. Self-described as “furniture with a soul,” Nadeau Imports provides affordable furnishings with a focus on rustic and traditional styles. This nationwide chain is based in the Ravenswood neighborhood. It showcases uniquely crafted wood furniture from India and Indonesia. Vintage goods are back in style. For those searching for the best items around, Beehive Chicago is the place to go. 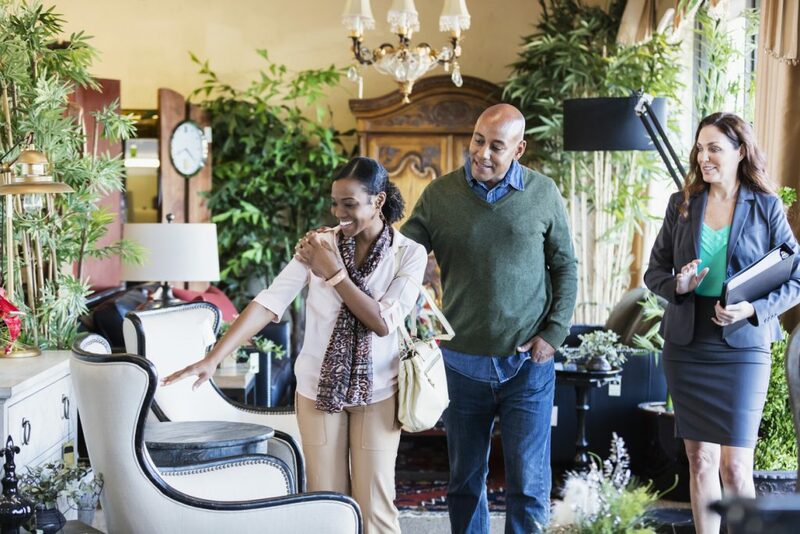 Here, shoppers can relax and enjoy everything from furniture to artwork in their West Town location. Thoughtfully laid out and spacious, Beehive Chicago has an ever-changing range of inventory to meet the needs of both bargain shoppers and distinctive buyers alike. Looking for more than boutique furniture stores in Chicago? OneEleven is the perfect place to call home with easy access to all that this dynamic city has to offer. Once you get your next bookshelf, load up on classics at these independent bookstores. Please contact us for more information on our community.